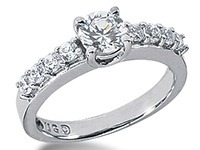 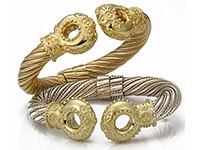 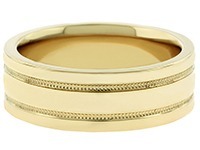 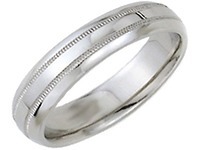 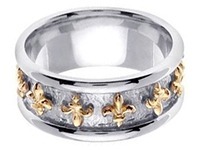 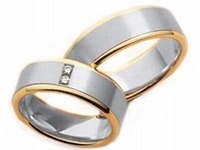 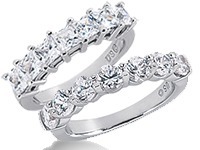 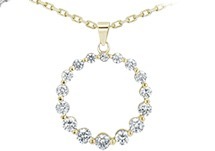 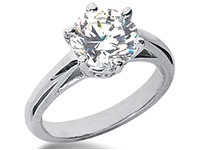 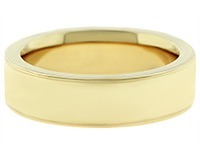 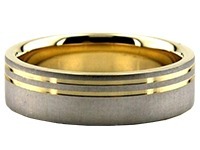 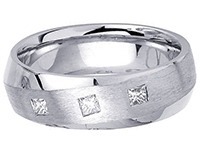 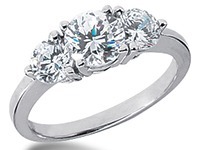 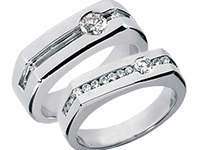 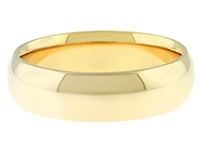 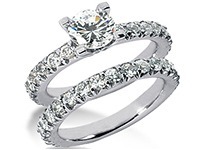 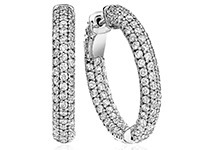 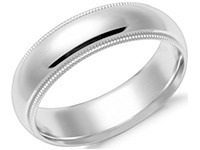 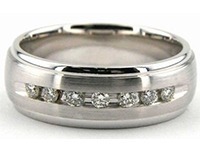 This 14k Gold Two Tone Handmade Designer Wedding Ring is 7mm wide and approximately 2mm thick. 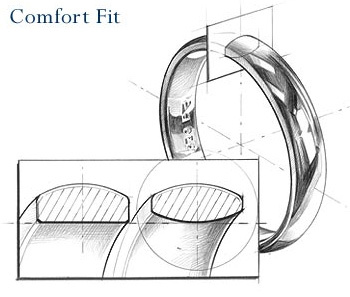 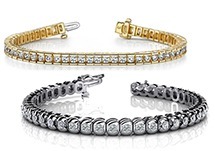 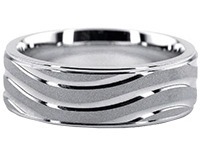 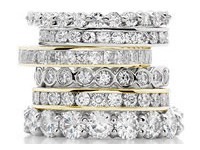 The band is rounded on the inside, creating a comfort fit for constant wear that will not pinch and still slide easily on and off of the finger. 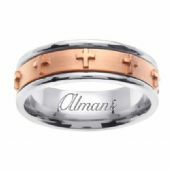 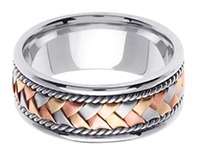 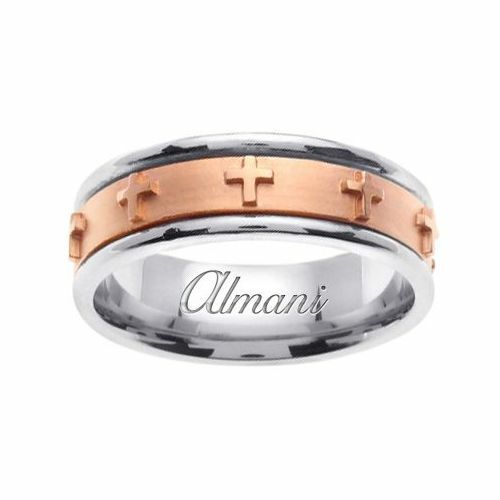 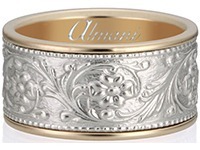 This beautiful hand made designer wedding band features a centerpiece in rose gold, with rose gold crosses and smooth, shiny edges in white gold.